A picture of Stirling Archer trying to pull off the honeypot on a man. He's clearly very subtle. 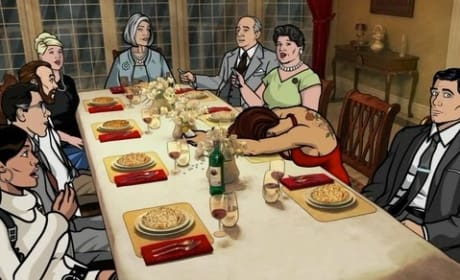 A picture of the dinner party hosted by Malory Archer in order to score ISIS a new contract. The whole team is there to mess it up. Archer confronts new diversity hire Conway Stern in the ISIS locker rooms. 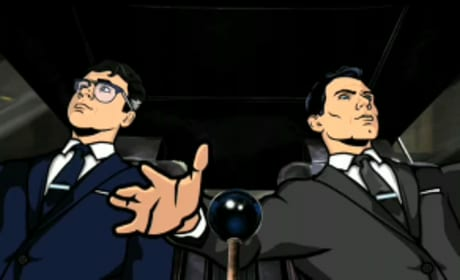 Archer tries to train Cyril how to become a field agent, but when the going gets tough, Archer is ready to eject. 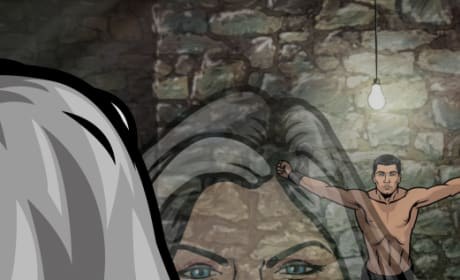 A picture of Malory Archer watching her son Stirling being tortured as part of a practice exercise. Sterling Archer anchors the sitcom named after him. This is one seriously hilarious spy.